About 125 million pregnant women are at risk of contracting malaria each year. Malaria infection during pregnancy can cause anemia, parasitic fetal infection, low birth weight, premature delivery and death of the mother. The Lancet Infectious Diseases journal recently published one of the largest studies on record about the effects of malaria on the fetus. Researchers found that just one exposure to malaria, early in pregnancy, increased the risk of miscarriage three-fold. When a woman is exposed to or contracts malaria early in pregnancy, she is treated with anti-malarial drugs. Until this study, the effects of that exposure and/or treatment were unknown. 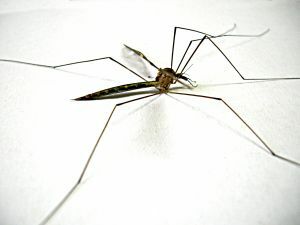 Artesunate-based combination therapy, ACT for short, is used to treat malaria – but animal studies have proven increased risk of fetal death when taken in the first trimester. Other risks proved in animal studies include birth defects and miscarriage. This study focused on the potential effects of malaria and treatment on humans, particularly when the event occurred during the first trimester of pregnancy. Two groups of women were compared for the study – single exposure and no exposure. All women visited an antenatal clinic in Thailand between 1986 and 2010. When pregnant women were exposed to malaria, resulting in asymptomatic contraction, the risk of miscarriage increased three fold. Asymptomatic malaria simply means women did not have any physical symptoms of infection – so they never knew they were infected. Women with symptomatic malaria, noticeable symptoms, were four times more likely to miscarry when infection occurred during the first trimester. No matter what drug was used to treat malaria, all carried increased risk of miscarriage, including chloroquine, quinine and artesunate. Treatment did not appear to increase risk of other risk factors like low birth weight orstillbirth. During animal studies, toxic effects were noted in mothers taking artesunate, but that effect was not translated to humans. Researchers noted that malaria information typically leaves out women in the first trimester of pregnancy. There are no major clinical studies on the effects of anti-malarial drugs on the fetus and/or mother when taken during the first trimester; something researchers believe should be started immediately. Source: Dr R McGready et al. The Lancet Infectious Diseases. 13 December, 2011.